Stateside’s conversation with Olga Stella, the executive director of Design Core Detroit. 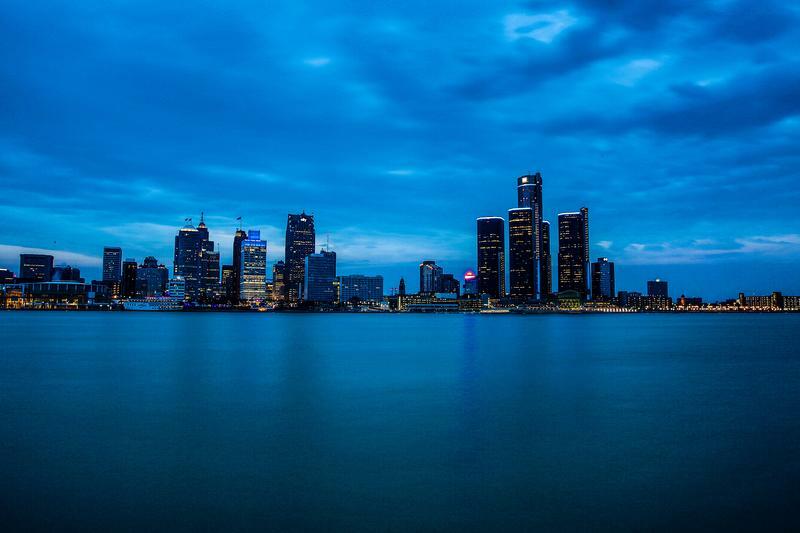 How is design playing a role in Detroit’s revitalization? That question will be on many designers’ minds at the first-ever Detroit Month of Design. It runs the entire month of September with events all around the city. The firm of famed Detroit architect Minoru Yamasaki is returning to the city, seven years after it was forced to close. 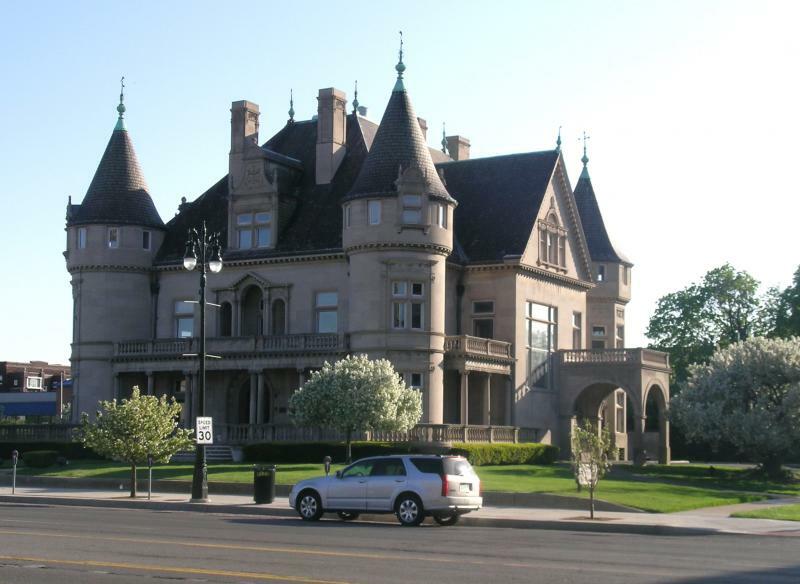 The Seattle-born architect lived in Detroit from 1945 until his death in 1986. He launched his own firm in 1950, which survived him until 2009 when it closed due to financial problems. Detroit is getting some love in Venice. 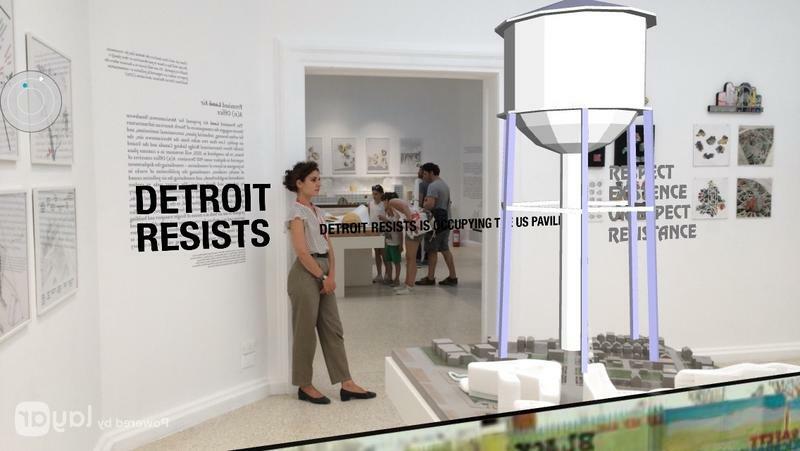 The Venice Architecture Biennale is a really big deal in the architecture world, and the designs presented by this year's American exhibitors are all about the Motor City. Michigan has its fair share of magnificent architects, one of whom is Minoru Yamasaki. Author John Gallagher recently wrote a book about Yamasaki. He joined us today on Stateside. Yamasaki lived during World War II, when life for many Japanese Americans was not easy. Some suffered in internment camps, and Yamasaki too faced discrimination. “And yet he was so good at what he did and so brilliant that he got these sort of high-end commissions, you know, from early on designing a naval base for the military at the height of World War II,” Gallagher said. After the war, Yamasaki moved to Detroit. 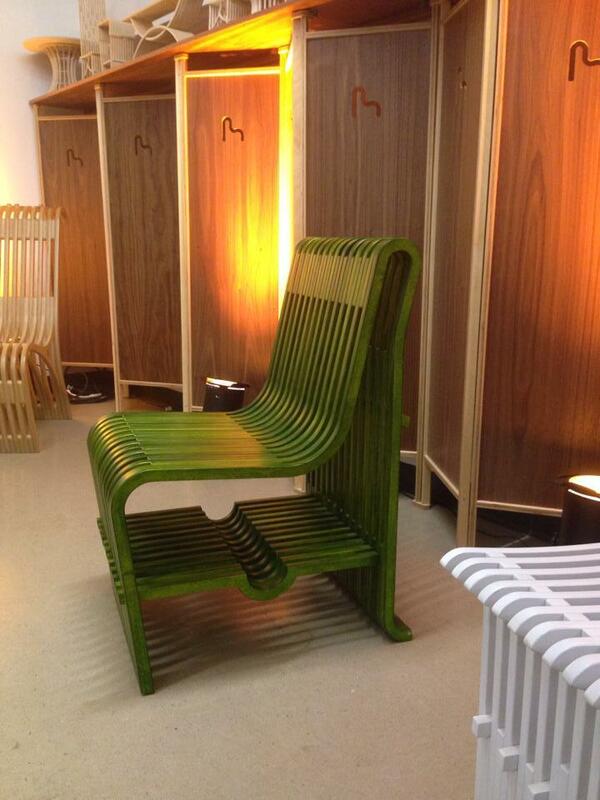 Gallagher said he quickly became “the new modernist designer” in the city and its suburbs. 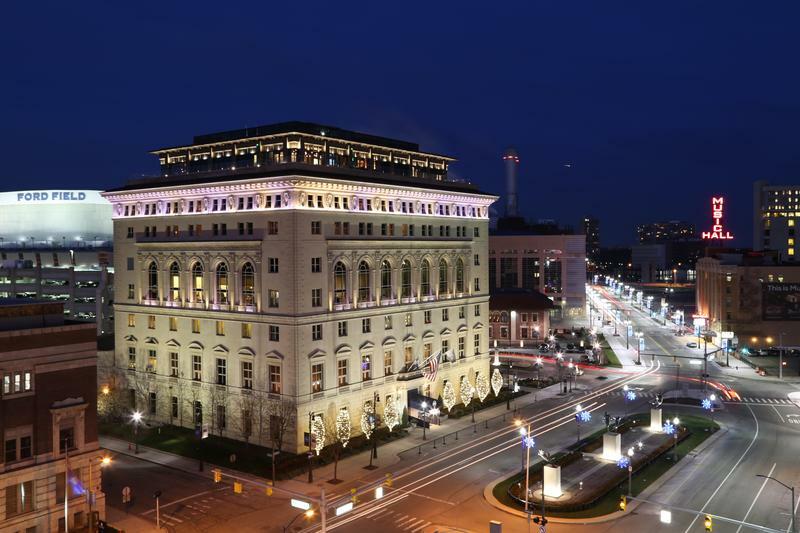 He is known for buildings like the McGregor Memorial Conference Center at Wayne State and the One Woodward building. Gallagher said Yamasaki's buildings feel connected to nature. “Whenever you’re in one of them you begin to sense what he was trying to do, creating these oasis of tranquility for the people who would use his buildings,” he said. The Venice Biennale is considered the world’s top tier architecture show, and the city of Detroit will be in the spotlight when it opens next May. That’s because the focus of the U.S. exhibition will be Detroit. The exhibit’s co-curators are Monica Ponce de Leon and Cynthia Davidson. Some people create with paint and brushes, others with musical notes or a camera. 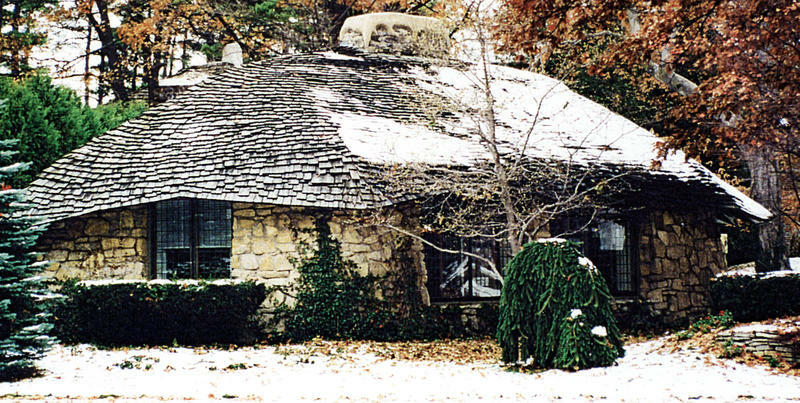 Earl Young found his muse in nature and channeled his artistic vision using massive glacial boulders, limestone, and fieldstone. 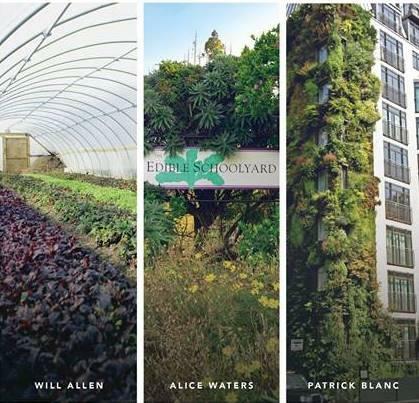 An annual design and urbanism symposium begins tonight in Detroit. 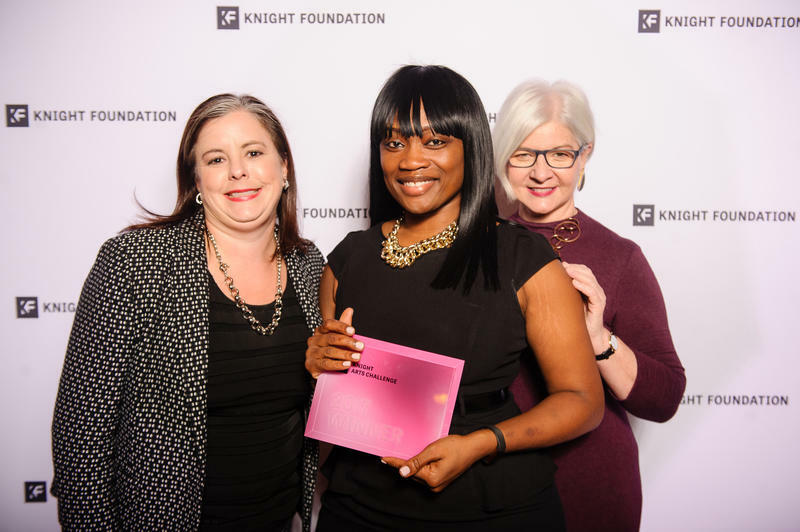 The focus of Culture Lab Detroit is to look at the city's 23 square miles of vacant land and figure out how to use that land in ways that enrich the lives of long-time and new residents. Our conversation with Dan Austin. One of the greatest skyscrapers in Detroit is on the auction block. 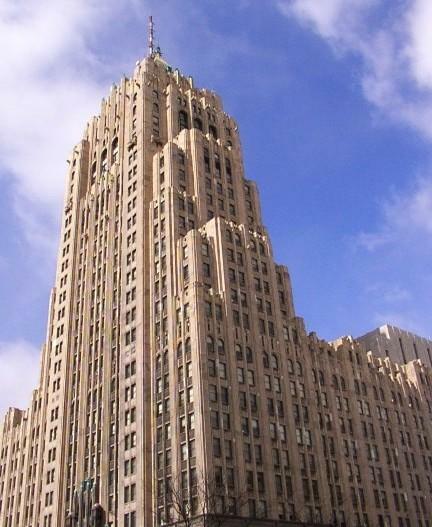 The Fisher Building and its next-door neighbor, The Albert Kahn Building, have fallen into foreclosure as they struggle with fewer and fewer tenants. Dan Austin is with the Detroit Free Press, and he runs HistoricDetroit.org. The team at Hello Aerial, a drone cinematography group based out of Detroit, explored the images of Detroit's historical churches from a very different angle: the sky. 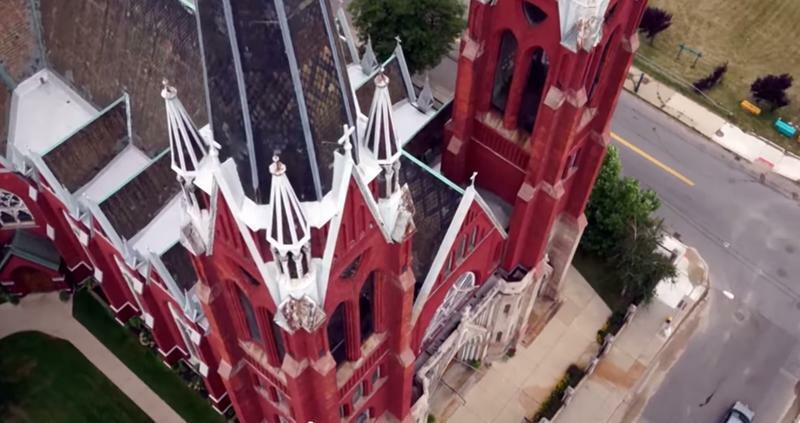 The video, below, shows the Sweetest Heart of Mary Catholic Church and the St. Joseph's Catholic Church from the air. They even flew the drone inside the church to get a closer look at some historic detailing. The 4th Annual Detroit Design Festival is taking place this week in the city with over 60 events. Sam Moschelli is the sponsorship director at the Detroit chapter of the American Institute of Architects – the group putting on an event this Thursday evening at Eastern Market. Moschelli says he believes there are opportunities for both creating new and revitalizing old. "The golden age of Detroit was in the 1920s and 1930s. We were known as the 'Paris of the Midwest.' People used to come here to study architecture and to understand the buildings of the era. That building stock is some of our most important resources that we have in the region," says Moschelli. Detroit by Design event producer Rich Rice says the opportunity and energy that the city offers for artists are catching lots of attention internationally. *Listen to our conversation with Sam Moschelli and Rich Rice above. 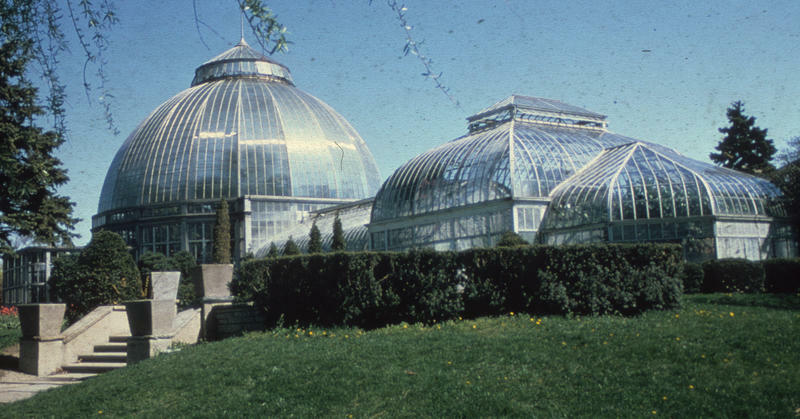 Architect Louis Kamper made Detroit the "Paris of the West"
The talk about blight and crumbling buildings in the city of Detroit can easily drown out another fact: The city is home to some stunning buildings that have a long history. One of the gifted architects who helped Detroit earn a reputation as the "Paris of the West" was Louis Kamper. He envisioned not just office buildings and fabulous homes, but also bridges, hotels, police stations, and even a bathhouse on Belle Isle. Historian Bill Loomis blogged about Kamper for the Detroit News. He says Kamper helped define the character of city's downtown architecture. 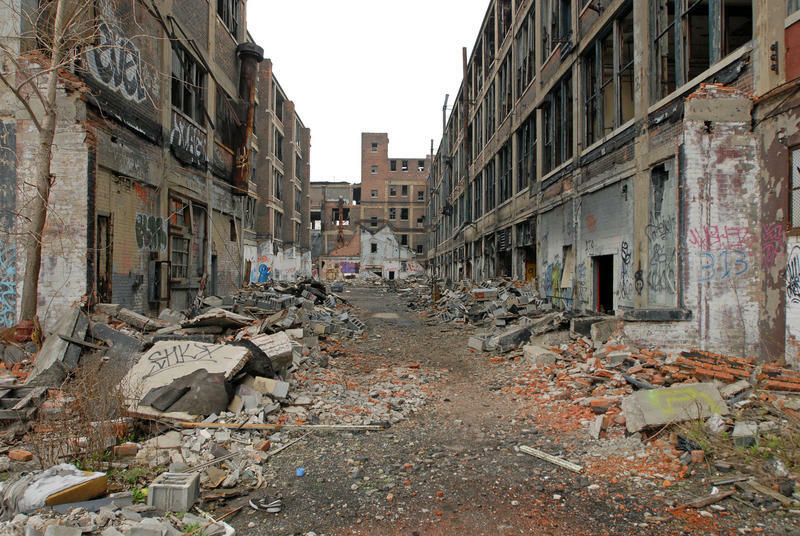 Anyone who has spent time driving around the city of Detroit has seen ruined buildings. They can be found just about everywhere within the city limits. Canadian photographer Philip Jarmain first discovered these disintegrating beauties while he was a student at the University of Windsor. 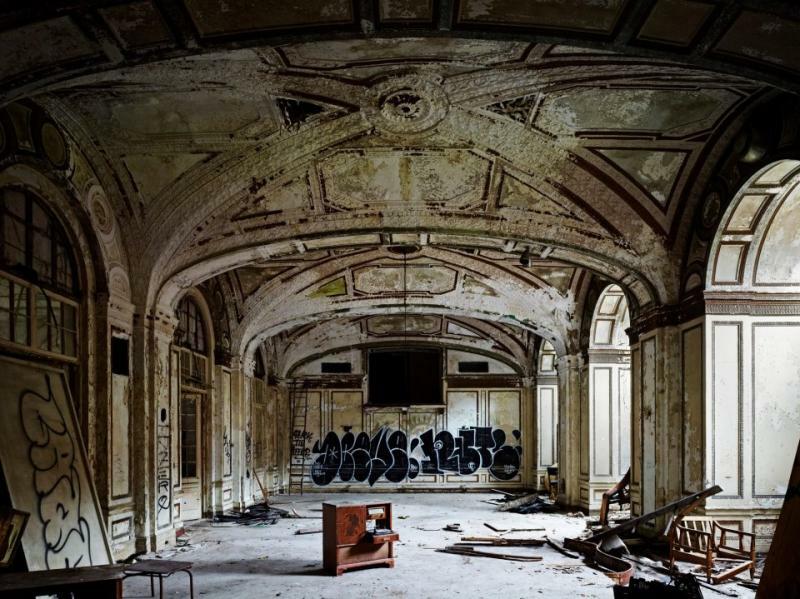 And ever since 2010, Philip Jarmain has been documenting these vanishing early 20th century buildings. 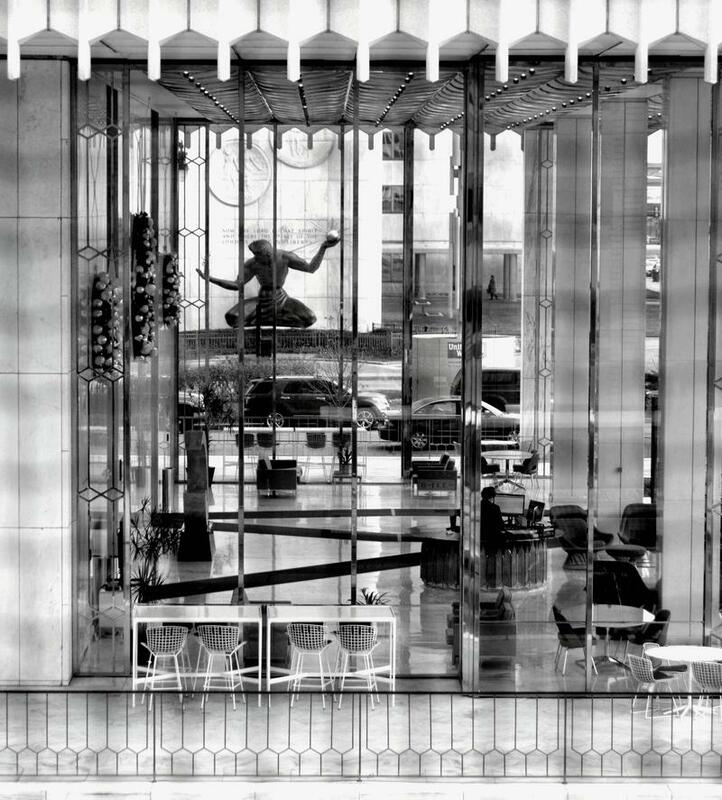 Twenty of his fine art prints were recently on exhibit at the Meridian Gallery in San Francisco, with interest in these large format architectural photographs certainly fueled by the headlines surrounding Detroit’s bankruptcy filing. The exhibit was called American Beauty: The Opulent Pre-Depression Architecture of Detroit. Philip Jarmain joined us today. Should the Packard Plant be saved? An interview with Anya Sirota and Robin Boyle. Wayne County officials say they soon hope to close a deal with a developer to buy a former car plant: the Packard Plant, a crumbling 35-acre site on Detroit's east side. 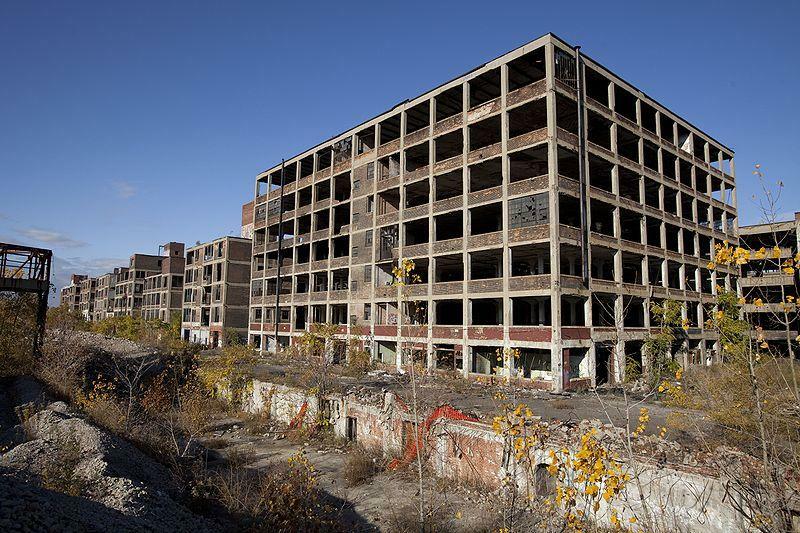 It's become an iconic image that, to many, represents industrial decay and the decline of a once-proud Detroit. The Detroit News and Detroit Free Press report the deal between the county and Evanston, Illinois based developer Bill Hults is tentatively set to close next week. Hults wants to convert the 110-year-old facility into a commercial, housing and entertainment complex. Many hurdles remain for Hults, who hasn't disclosed his partners or completed a project of this size. Hults plans to buy the plant for its $1 million unpaid tax bill. If the deal fails, the complex would be put in a public auction in September. An unhappy statistic: Child abuse is on the rise in Michigan. So, why has state-funding for prevention been cut? We found out more on today's show. And, in case you hadn't noticed - it is hot out there. But, are these temperatures rivaling those of past record-making days? And, three ordinary guys are pooling their resources in order to save Detroit’s GAR building from the wrecking ball. Also, we spoke with Dr. Ryan Shinska, a graduate from the University of Michigan’s dental school, about his plan to move to Uganda to open a dental clinic. First on the show, numbers show that more of us are climbing aboard Amtrak trains than ever before. The three lines that Amtrak runs in Michigan are often packed, especially the Detroit to Chicago Wolverine Line. Come this October, the State of Michigan's tab for Amtrak will jump. The subsidy will go from 8 million a year to around 25 million. That's around a 200% jump. Why is that happening? What does this mean for you, the taxpayer, and for Amtrak and its passengers? Adie Tomer is with the Brookings Institution's Metropolitan Policy Program, and he joined us today from Washington. If you've ever driven on Grand River on Detroit's West Side, chances are you've spotted it. The building that looks like a small castle right there on the corner of Grand River and Cass with those crenelated turrets looking like something out of medieval England or France. The building was a used as a meeting space for a fraternal organization formed for Civil War Union Army veterans - the Grand Army of the Republic. When its last living members were dwindling, the organization left the building. 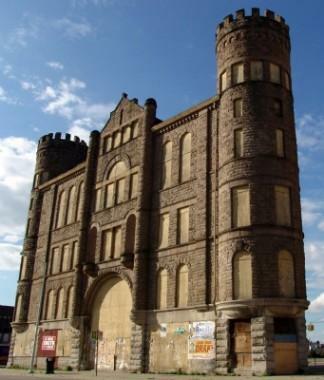 Fans of the Grand Army of the Republic building will be heartened to hear that it has some champions: three men who are doing their best to save it from the sad list of Detroit's architectural gems that have been allowed to decay or have fallen to the wrecker's ball. And these three do not have deep-pockets. Dan Austin is a writer for the Detroit Free Press, and he also runs the Detroit architectural resource HistoricDetroit.org. He joined us today to talk about the building.